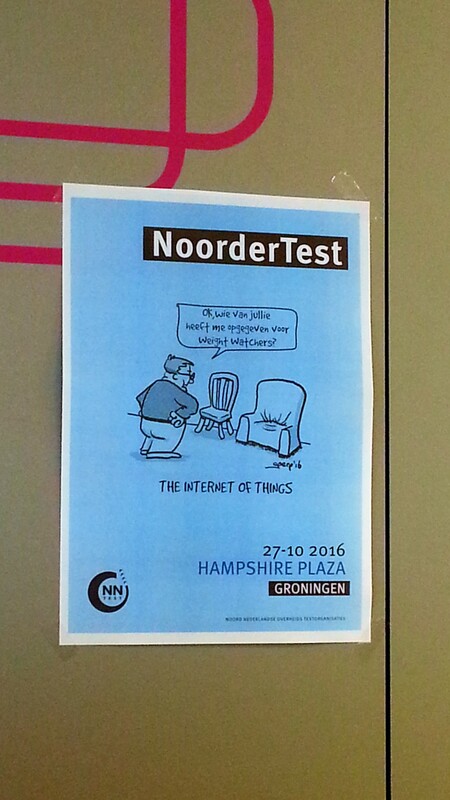 Just like last year the organizers of the Noordertest event asked me to make a cartoon for their posters. I showed them 5 sketches and they liked them so much they wanted to take three. 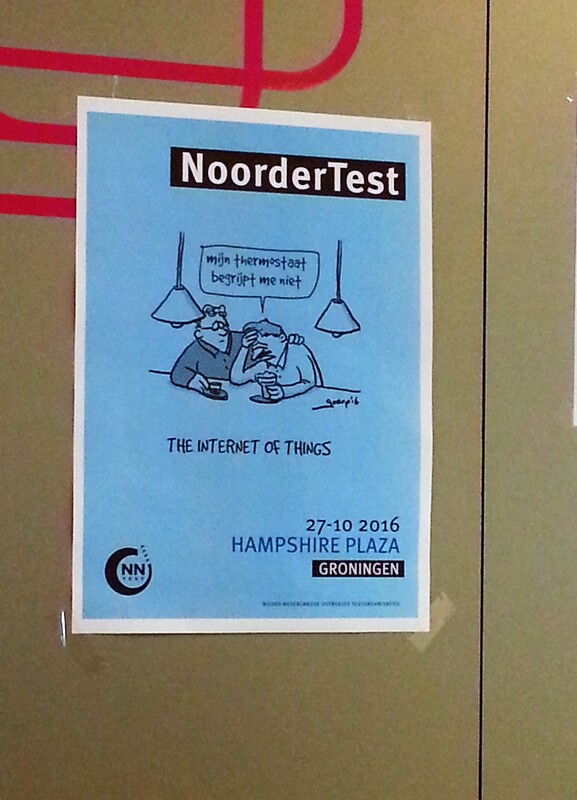 Noordertest 2016 has ‘The internet of things’ as its theme, so I made all cartoons fit the theme. 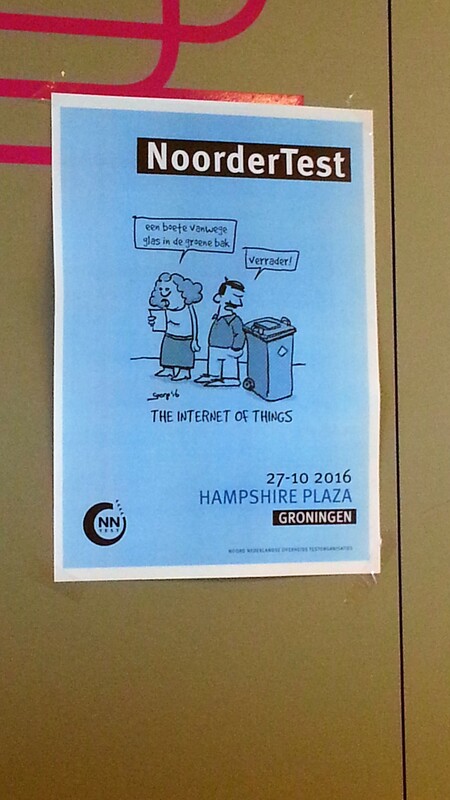 They also made a pdf with the program which also contains the cartoons (a bit clearer than the photo’s below). 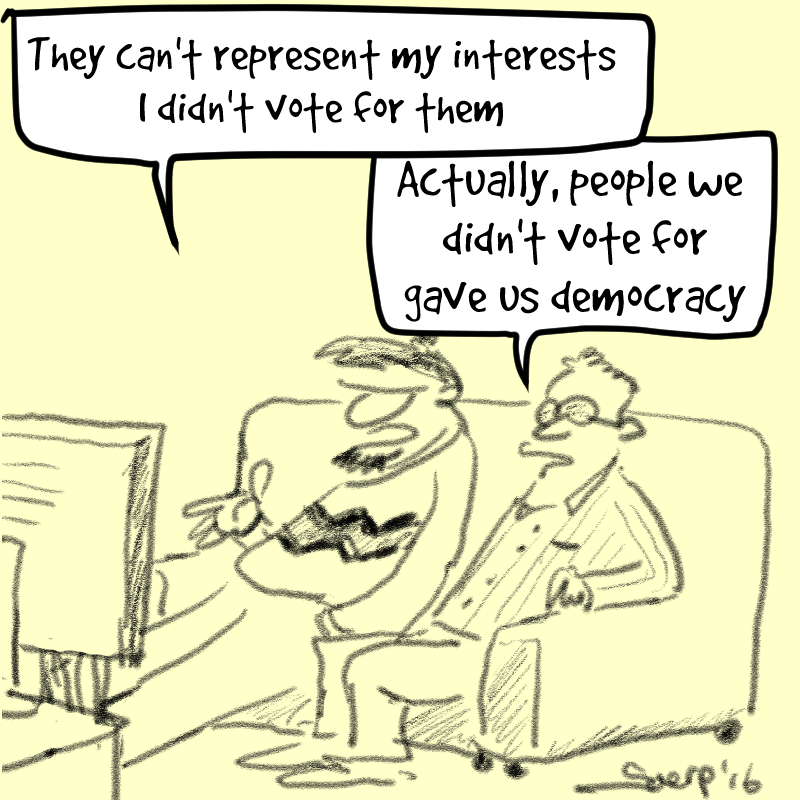 Here are the three cartoons ‘in action’ (the other cartoons will show up on this site too). The photo’s are low quality and in Dutch so I’ve put a translation beneath each one. OK, which one of you entered me in the Weight Watchers program? My thermostat doesn’t understand me! BTW: I started to browse your webpage and . . . Holy cow! there are a lot of ASCII Cows!